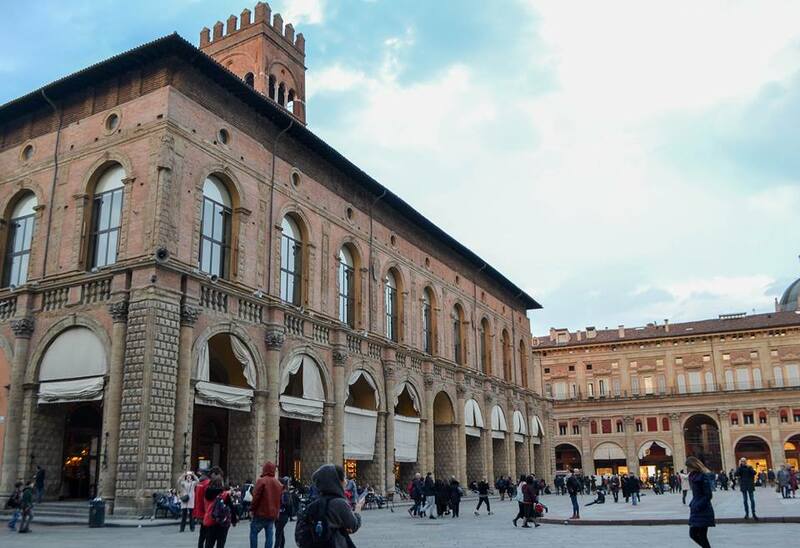 On our very first day, we had a city tour of the historical center of the city, as the amazing members of AEGEE-Bologna revealed the secrets to us like pearls of an oyster. With the towers of Garisenda and Degli Sinelli in the background, we walked around the circular center, we learnt that the certain pillars of the centre facilitate conversation. I spoke into the wall of one pillar, and found to my surprise that I could be heard by Hanna, who had her ear to the wall of the other pillar. This method of communication was often used in the time of the plague, when the person dying of the illness, would want to confess, and so the priest would hear him out from the other pillar, avoiding the chance of contracting the plague. The pillars were also used by lovers who wanted to confess their love for each other, but couldn’t do so outwardly! As the evening rolled around, we prepared to conduct a workshop on sustainability in the food industry at We Bologna hostel, where we had a very quality discussion. The participants were extremely active, enthusiastically discussing the effects of various processes of bringing food to a plate, and discussing how it is possible to be more sustainable in our choices when it comes to food. In fact, most of our discussions in Bologna relating to sustainability were about food, and what else can you expect in an Italian city? We visited Campi Aperti, a 0 km market in the center of Bologna which sells products that have been produced within a radius of 7 km of the city centre, and not even a kilometre outside of the city. There was organic beer, vegetables, fruits, cookies, snacks and wine among other things at this market, which takes a huge step in the direction of reducing the carbon footprint in the transportation and production of food. But perhaps the most interesting of all was a visit to a farm used by Arvaia, a food cooperative, which lay just a few minutes outside the city. Arvaia is a cooperative that tries to ensure that local, biological and non-pesticide ridden food reaches the people of the city who need it. The model works such that upon the payment of a specific fees in a year, the members of the cooperative have access to seasonal vegetables all the year, which they can collect weekly or bi-weekly. The model ensures that only extremely fresh vegetables reaches the members, as they are distributed on the same day as they are harvested. We were lucky enough to see strawberries, peas, leeks, cabbage and parsley in harvest growing in the farm. It is a CSA project (culturally supported agriculture); people run a farm together m they share risks and benefits of agriculture. 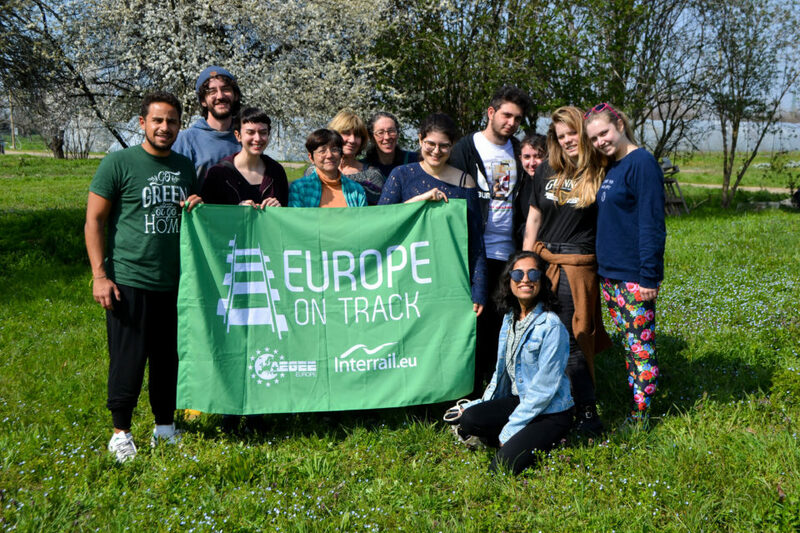 “It has become a kind of addiction for members of our cooperative, to eat fresh food,” says Cecilia Guadgani, one of the founding members of the cooperative. 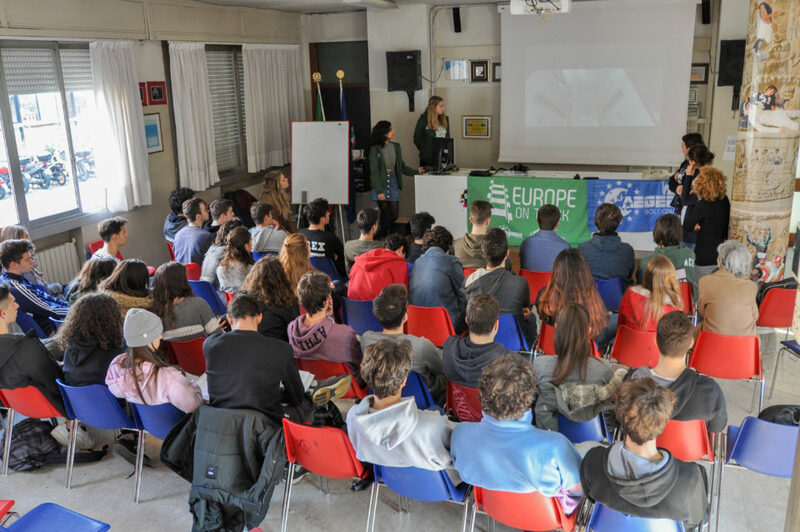 The best part about our stay in Bologna was when we got to deliver a workshop about climate change and sustainability at a high school to fifty teenagers, and were absolutely thrilled by their awareness and knowledge about the topic. They were extremely participative and interactive, and have even worked on projects relating to sustainability in their school, including creating a website to spread awareness and installing solar panels in their school. 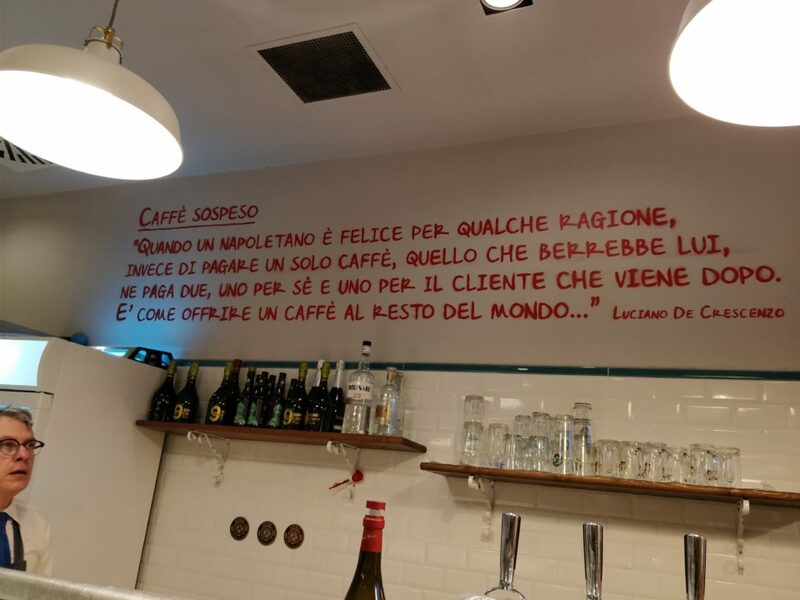 A guy from Salerno told me in Bologna about Caffe Sospeso: a tradition that began in the working class cafes of Napoli, wherein a person pays for two coffees, but takes only one, and the other one that is already paid for goes to the next person who comes to the café. It is a random act of kindness done anonymously, and is a classic example of Italian love and hospitality. We felt that kindness and hospitality every step on the way, and we hope to pass it on to the people we meet next as we go on to Torino, just like doing a Caffe Sospeso. Missed out on our last stop? Read about our journey in Napoli here !